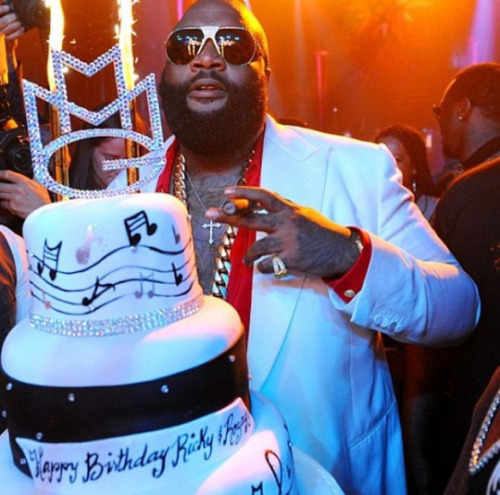 Big thang was popping when snapper Boss Rick Ross celebrated his birthday Sunday night here in hometown Miami at club Liv on South Beach. 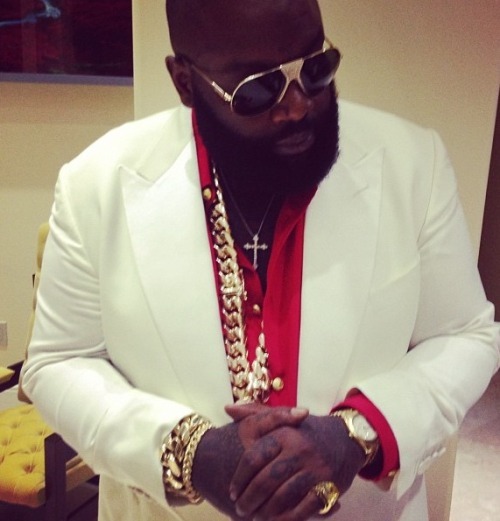 "Rapper Rick Ross was keeping a low profile Tuesday, one day after his brush with bullets on the streets of Fort Lauderdale. Though he has yet to comment on the incident, the self-proclaimed “Boss,” did what he does best: He rapped about the incident. “I can’t believe I’m alive,” he said, dropping a rhyme about his near-death experience into a recording by a fellow rapper, Kendrick Lamar, titled “B---- Don’t kill my Vibe.” The verse was distributed through social media by his record label late Monday, and spread quickly over the Internet. Ross, whose real name is William L. Roberts II, also posted a link to a story about the shooting on his Facebook page. His publicist did not return phone calls.